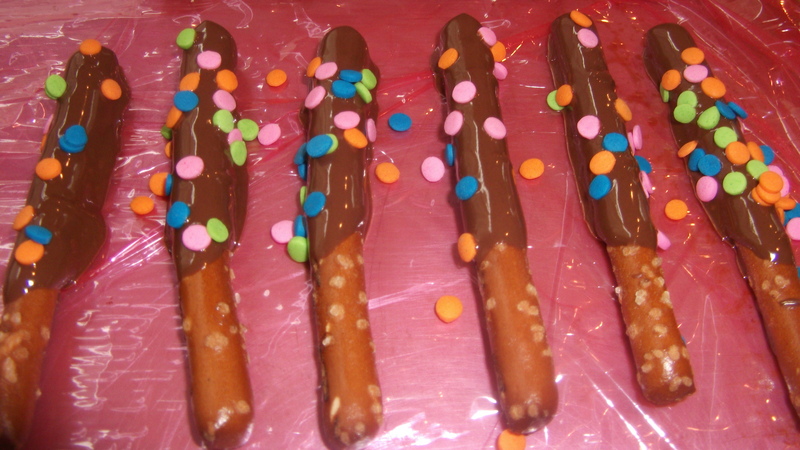 These are great for school instead of birthday cupcakes, or a fun treat for party favors! 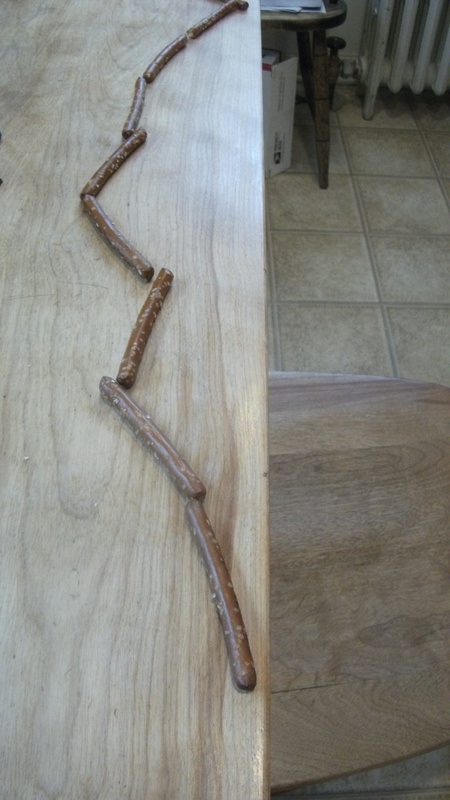 Pretzel rods (either break long ones in half and dip the broken end, or use these smaller Snyder’s rods which are perfect for little hands! Baker’s Dipping Chocolate (dark or white) This is the kind to melt in the microwave. It’s the perfect size for one big batch. Sprinkles or cupcake decor, jimmies, colored sugar, mini m&m’s, etc. We have found that the decor sprinkles work the best. 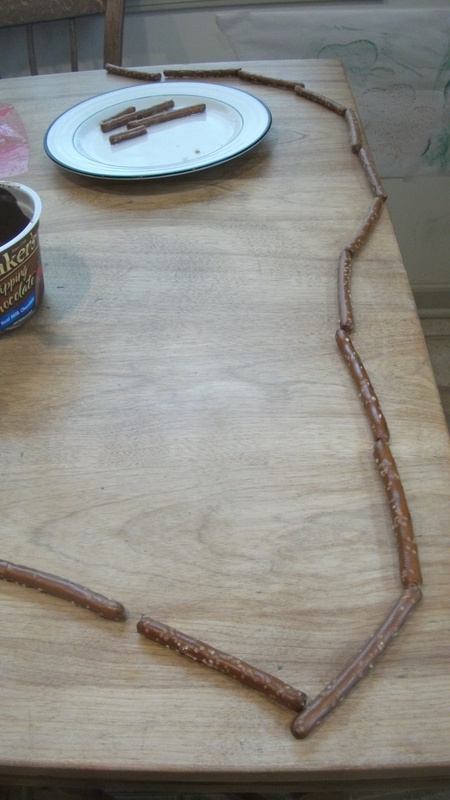 Melt chocolate according to the directions, dip about 2/3 of the pretzel, and place on waxed paper or plastic wrap-covered cookie sheets. 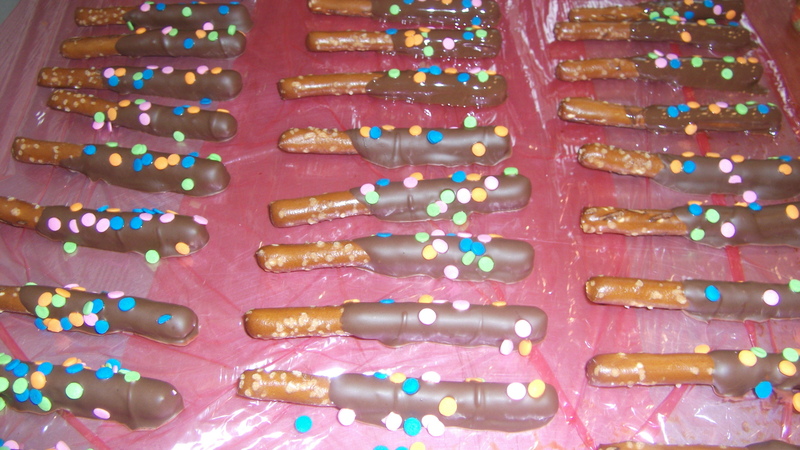 While the chocolate is still hot (wet), add the colorful décors. 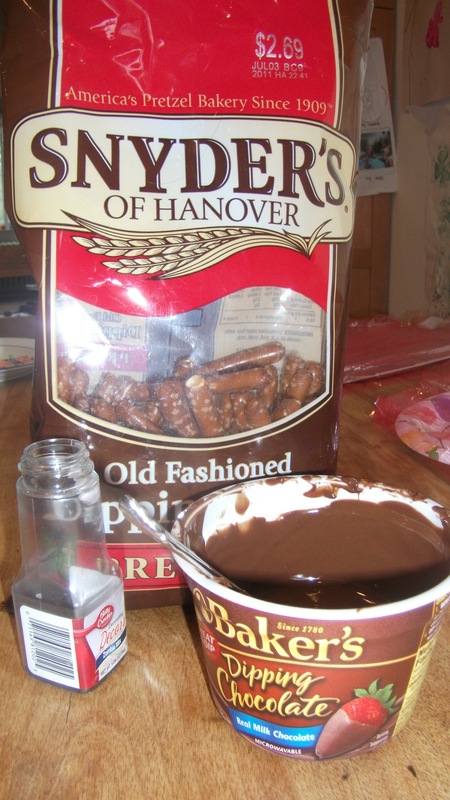 I usually do the dipping and the kids sprinkle as soon as I’ve put the pretzel down. 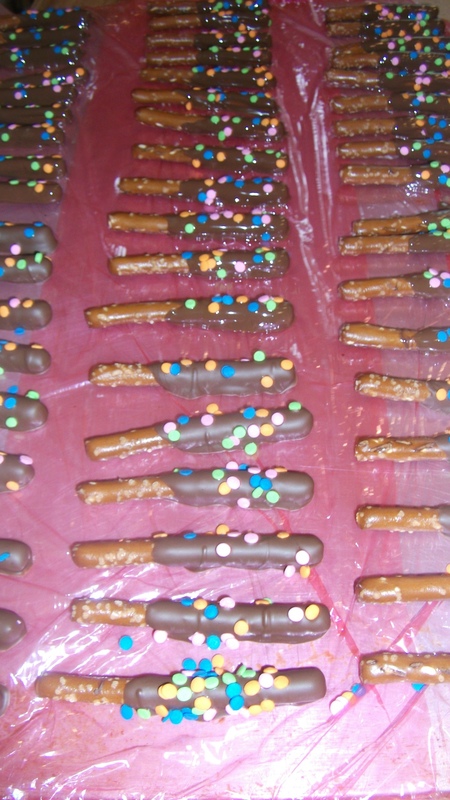 Wrap in cellophane bags and tie with a ribbon, or put two pretzel rods in ziplock baggies, and sell at your next bake-sale. I think we sold them for 25 cents per small rod.